With an electric mixer, beat the butter and sugar on medium-high speed until light and fluffy. Scrape down the sides of the bowl and continue to beat until mixed well. Reduce the speed to low and add the flour, crushed potato chips, and vanilla extract, mixing well. Dough should be firm enough to form soft balls. Roll dough into balls, approximately 1 inch in diameter. Do not overwork dough. Roll just enough for dough to come together. Space balls about ¾ inch apart on baking sheet. Bake at 350 degrees for 8-9 minutes or until cookies barely begin to turn brown on the outer edges. Entire cookie should not be golden brown. When done, cool on the baking sheets for 5 minutes and then transfer cookies to wire rack to cool completely. Place powdered sugar in a bowl. 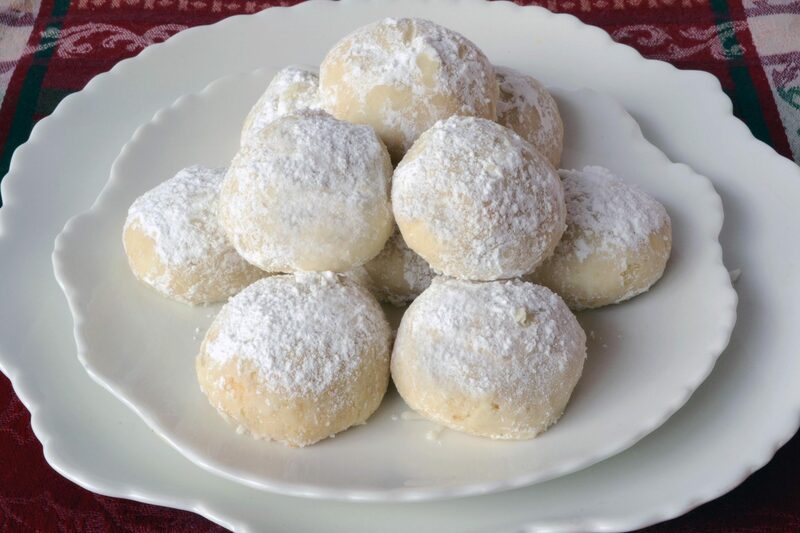 Gently roll cookies in powdered sugar to coat. Place cookies on platter or in airtight container to store. If desired, with a sieve, lightly sprinkle more powdered sugar over top of finished cookies for a more evenly coated look. Makes approximately 46 (1-inch diameter) cookies.